Whilst you might feel comfortable at a normal room temperature, your tropical pet bird may find this condition to be freezing! This can affect your bird’s health and sleeping patterns, making them more vulnerable to diseases. 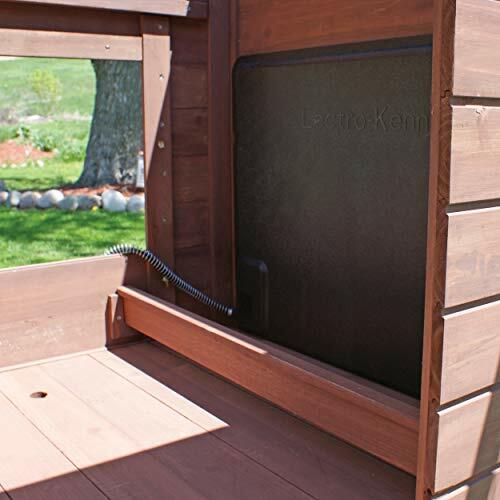 What’s more, long cold nights and harsh winters will require your birds to be even further protected. This is why bird heaters and bird warmers are a necessary bird cage accessory for many pet owners. With a bird warmer properly set up, your pets will be much more comfortable, happy and able to get a warm nighttime rest. How to find the ideal temperature for your pet bird? Is your bird too hot? 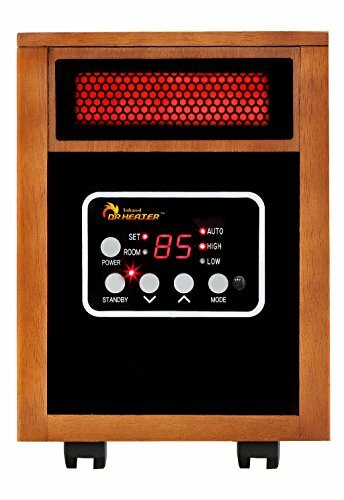 What to look for when buying a bird heater? The Wikipedia entry will give you the country the species is commonly found in and the area within the country. For that area, look at what the average temperature range is for that region for both the daytime and the night time. 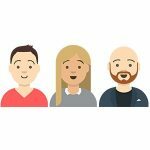 You can use a website like Weatherbase. 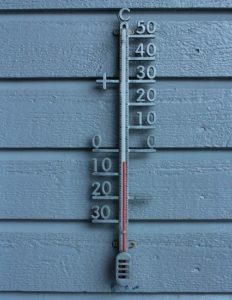 Use this temperature range as a guide when setting up your heaters for your pet birds. Your bird may be over heating if you see if it is breathing heavily, extending it’s neck or stretching out and airing it’s wings – so be careful. First, use the buying guide below to purchase a bird warmer such as a heat panel, infrared bulb or heated perch. Gas fireplaces and regular heaters are made for humans and may not be bird safe. 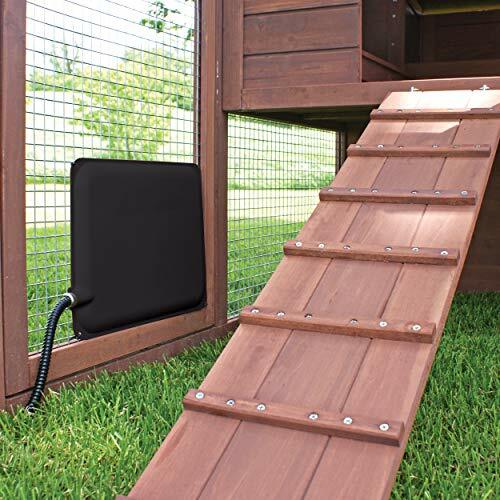 If using a heat panel or thermo perch then you can install this on the side of the cage. If using any bulbs or lamps, then place these next to the cage but outside of it. They can become very hot and would harm your bird if touched by them. Next, plug in the heating element and ensure it is protected from any water or potential rain. 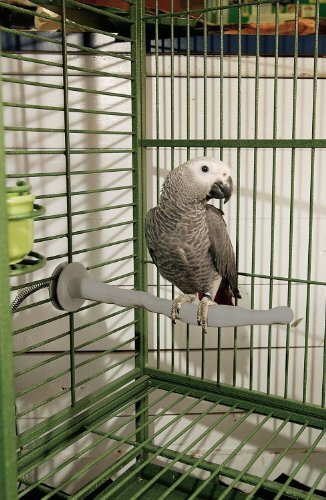 Double check to ensure that any cables, cords or parts of the heating element are not within reach of your pet birds (otherwise they might get chewed). For additional temperature control, see the heating accessories that you can buy such as timers, bird cage covers and thermometers in the accessory section. 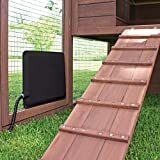 The most popular and commonly used bird cage heater available, these are placed inside of the cage and are attached to the sides of a cage, ideally next to a perch. They will allow your birds to snuggle up next to the panel. An example of a bird heating pad can be seen here. Heating lamps for birds are infrared based and do not emit UV light (which would keep your bird awake). These are placed outside of the cage and to the side or on top of the cage. Not to be confused with full spectrum avian lighting. An example of a bird heat lamp bulb can be seen here. Also known as thermo bird perches, they use low voltage electricity to generate heat, and this runs through the full length of the perch. An example of a heated bird perch can be seen here. Placed outside of the cage, you can use room heaters to keep your bird warm. However, you must ensure they are bird safe as heaters because gas or kerosene heaters can be harmful for your bird. So if you decide to go down this route, we recommend infrared room heaters. An example of a room heater for birds can be seen here. These are bird heaters are specially designed to help a pet baby bird grow until it hatches. See our full guide to pet bird breeding and incubators here. Heating panels are very effective and preferred by many birds because they can be located inside of the cage and so the bird can actually snuggle up next to the panel if it is cold. A bird can also obviously rest on a heating perch but they are less effective and provide less heat than panels. Heating bulbs on the otherhand may be inefficient as they have to be located outside of the cage. However, because they are so hot they can still provide enough warmth for most cages. When buying a bird warmer 3 factors to consider when choosing a bird warmer are non-toxicity, non-UV light emitting and electrically safe. Some types of normal light bulb contain polytetrafluoroethylene which is a harmful chemical that is emitted in certain cooking elements. This is why it’s necessary for you to purchase bird safe heat lamps that are specifically designed for heating bird cages as these do not emit this chemical when heated. A UV light or bird lamp can be beneficial for pet birds that are kept indoors or are in low light environments. However, it’s NOT something that should be used for heating. The sleeping cycle of a bird can be easily disrupted with a UV lamp if it is used at night time for heat. This is why special types of heating bulbs such as thermostatic, infrared and ceramic heat emitters are used instead. These provide the bird with heat without disrupting it’s sleep cycle. For more information about helping your birds to sleep at night, see our guide here. Whilst the chance of electrocuting yourself or your bird is low, some bird heaters are safer than others. For example, the K&H range of heaters and perches are designed to use a harmless 12 volts so that if any accident were to occur you or your birds would not be harmed. When installing an electrical heater that is outside, double check that the heater is in a location that is weatherproof and waterproof – typically beneath the roof of a cage. The heating options available typically range from $20-$50. 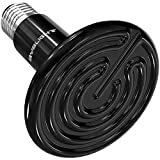 However, ensure that the bulb is also included in the heating solution as some products do not include this and it will alter the price. Also, look out for products that provide a warranty or guarantee. 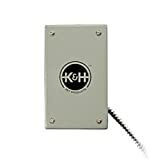 The most popular bird heater is the K&H Snuggle Up Bird Warmer which uses a thermostatically controlled heat generator to provide warmth and is bird safe as it uses a harmless 12 volt electrical supply. Also from the same company is the K&H Thermo Perch which also uses a similar harmless 12 volt current to provide heating to bird perches of varying sizes. 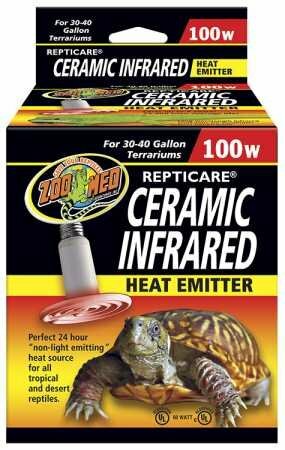 Other types of bird warmers typically get sold as bird heat lamps, these include the Ceramic Heat Emitter from Zoo Med which is designed to provide 24 hour heat throughout the day. 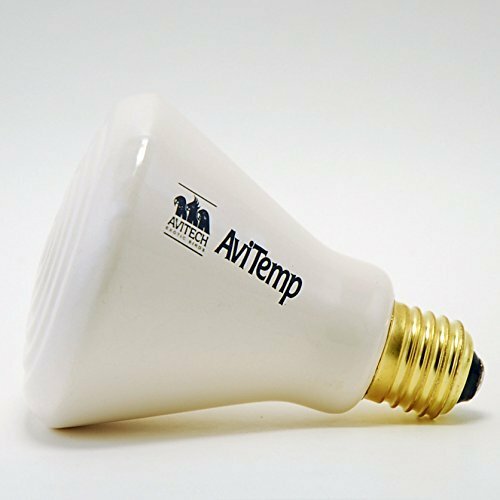 Avitech also provides a similar solution with their Avitemp ceramic heat emitter, which can easily be screwed into an electricity socket. We reviewed these bird heaters by looking at how effective they are at heating a cage, how safe they are are, and the price of the item. 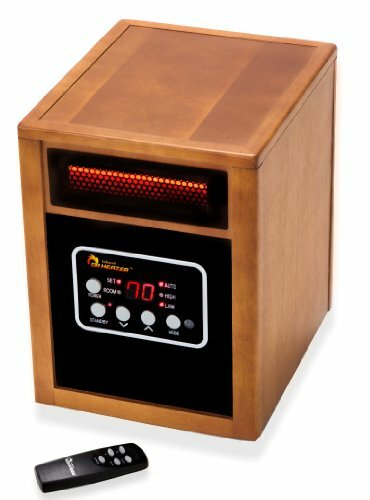 From this we were able to discover the best bird warmers and cheapest options that are available. Birds love it, allows entire body to rest on the heat source. Easy to install and hang up. Low voltage and bird safe. Slim and doesn’t take up much cage space. Might be out of some people’s budget range. Cords still need to be kept outside and away from birds. Perhaps the best bird warmer available. Ideal for most situations although you may need more than one you have several birds. Available in a variety of sizes for different sized birds. Comes with regular finish or sand coated to help with nail and beak trimming. Low voltage which is bird safe. Won’t heat an entire cage. Can’t be snuggled up to like a panel. Ideal if you don’t want the fuss of setting up a bird heat panel or lamp. Integrates with a cage seamlessly. Infrared so can work in the dark and not affect bird sleeping patterns. Lasts 4 times longer than glass heating bulbs and 25% more efficient. Easy to screw into plugs. Should be kept outside of the bird cage so it is less effective. Birds can’t snuggle up next to it. Far better than any normal glass bulb for heating. 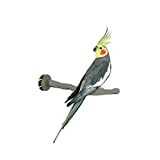 This bird heat lamp will help your pet get a warm nights rest without it any light disrupting it’s sleep. Very fast at heating your full room. Comes with a built-in thermometer for setting the temperature and can be set to turn off. Cannot be used inside the cage so birds don’t have something to snuggle against. 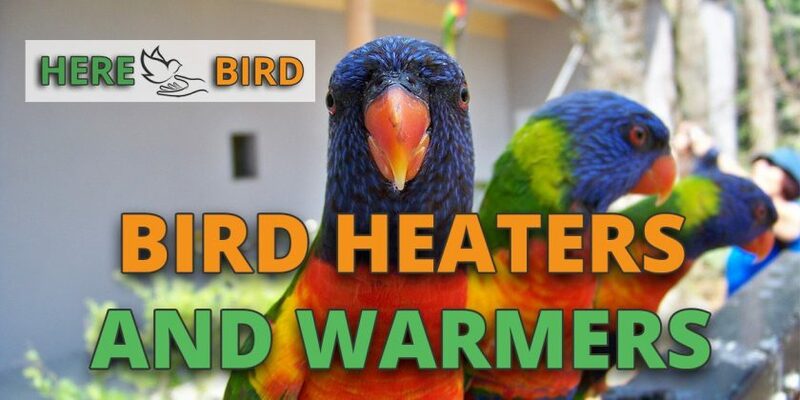 A top qualtiy heater that’s designed for room heating in general but works great with parrots and other birds. Long shelf life that will last up to 5 years. Works well in humid environments. 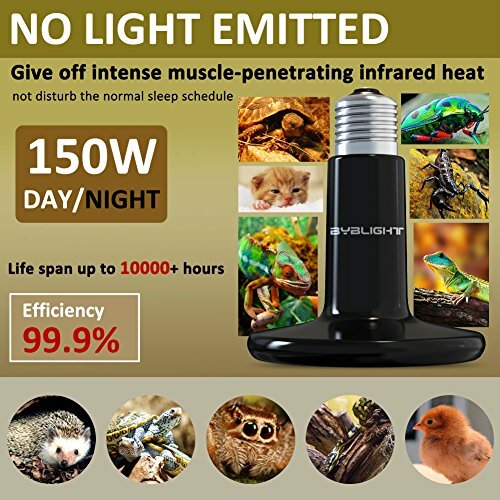 Doesn’t affect bird sleep as no light is emitted. Can only be used with porcelain sockets. Must choose the correct wattage model to get the correct amount of heat. Similar to the Avitemp. Must be set up outside of your cage and will provide a source of non-UV light based heat which will provide general warmth to a cage. Fairly waterproof and energy efficient. Long lifetime through periods of continuous use. Becomes very hot and requires 1 hour cool down before removal. Requires ceramic heat emitter lamp. One of the more affordable heating lamp options available. This brooder and pet bird bulb will heat your enclosure whilst also being energy efficient. 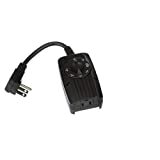 Low amount of power consumption for the amount of heat provided and low wattage. Protected cord prevents against chicken pecking. Ideal if you need an outdoor bird warmer. May need additional heating when temperatures drop below freezing. Aimed at poultry and chicken owners, this is the number one aviary heater option for birds. Popular because it’s a heated pad, instead of a light, which some bird owners are concerned with as a fire hazard since chickens tend to be outdoors. Once you know the ideal temperature that your pet bird should be kept at, you can then use a thermometer to keep an eye on the temperature of the bird cage. 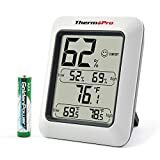 The TP50 thermometer from ThermoPro is ideal for this as it’ll give you an accurate reading of the temperature and humidity as well. Whilst most bird heaters don’t come with a timer, you can easily buy a separate electrical timer and then set this up to work with your bird warmer. 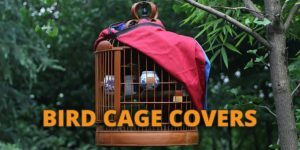 We have an entire article dedicated to the best bird cage covers that will not only provide warmth but will also make your bird feel more protected and help it to get a better nights sleep. At what temperature do you normally keep your birds at? If you’re interested in this topic of bird cage heating, then you might also want to check out our related articles on full spectrum bird cage lighting and bird cage covers.